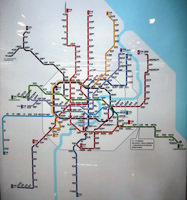 To view the entire network click here! 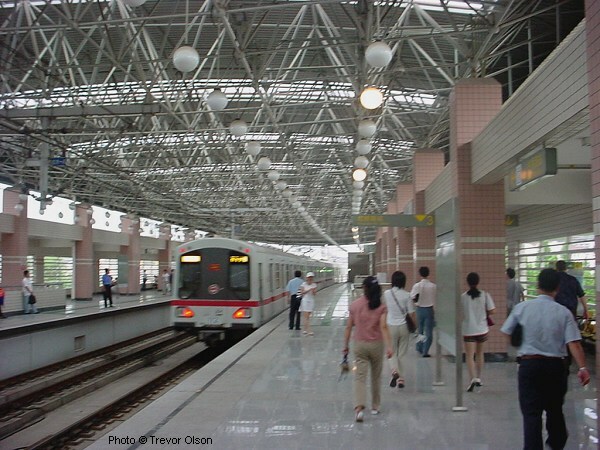 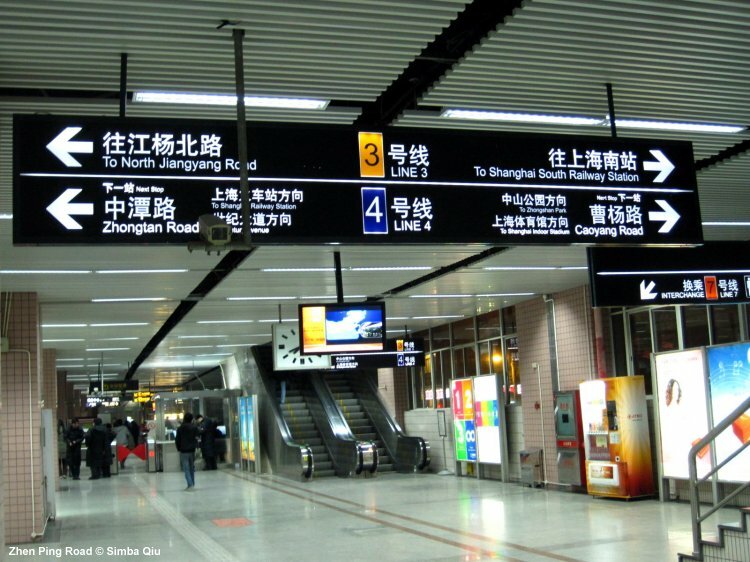 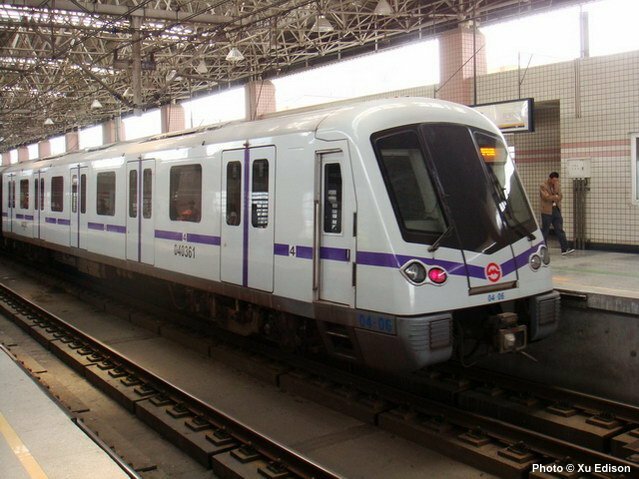 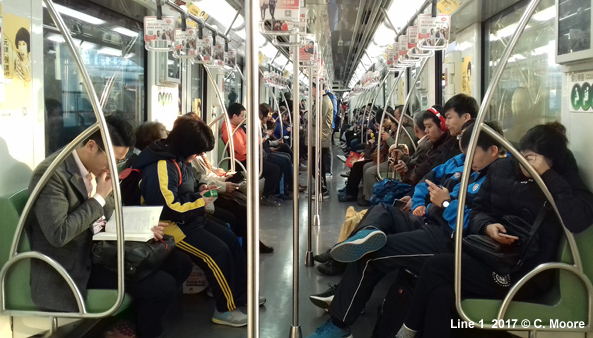 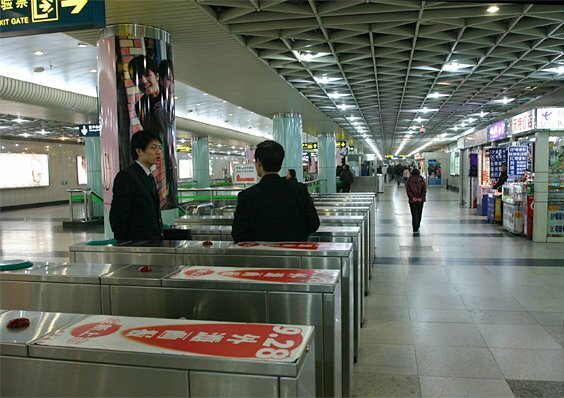 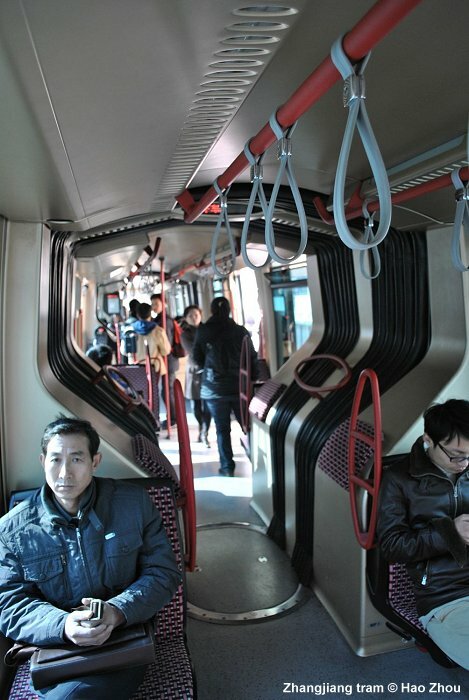 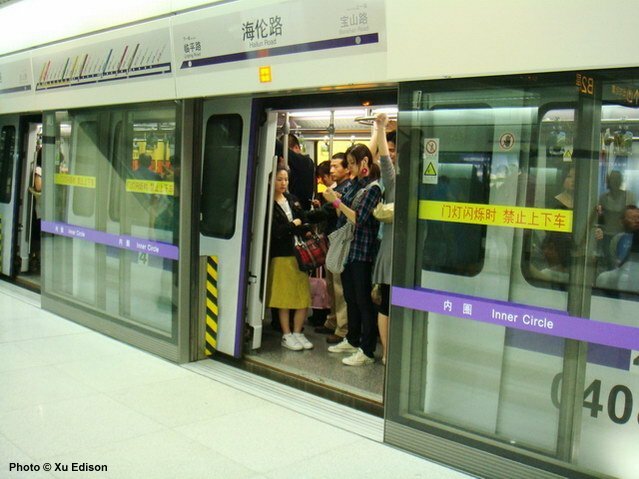 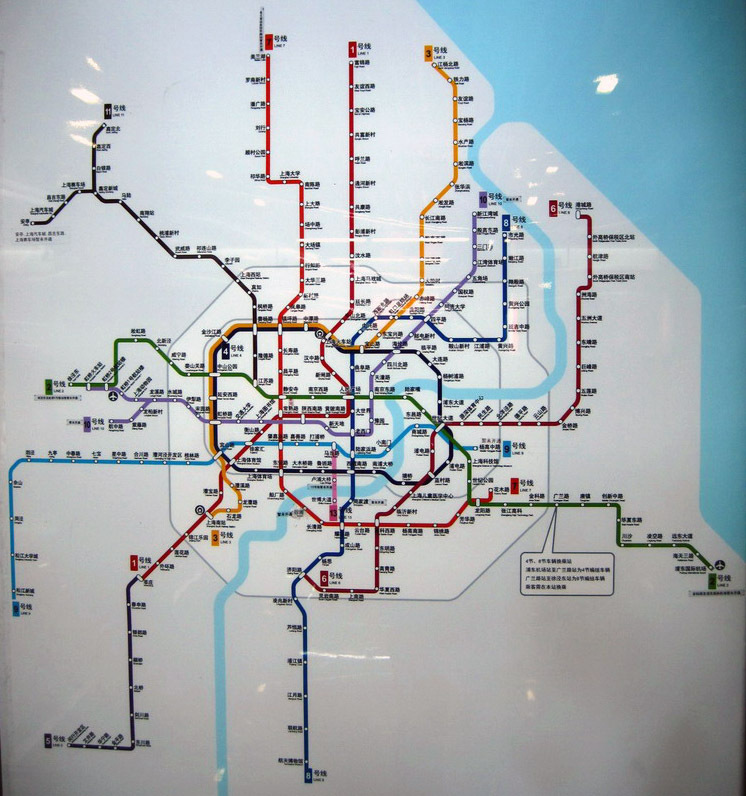 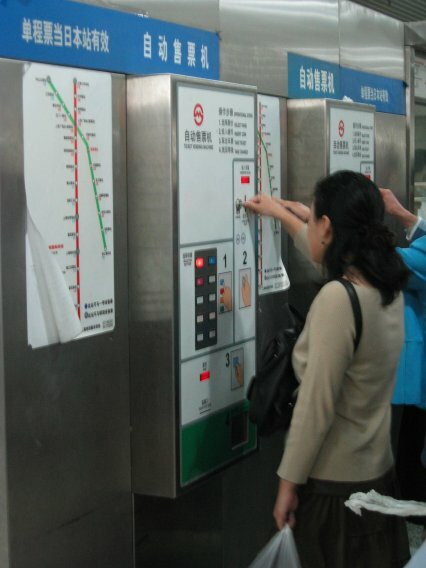 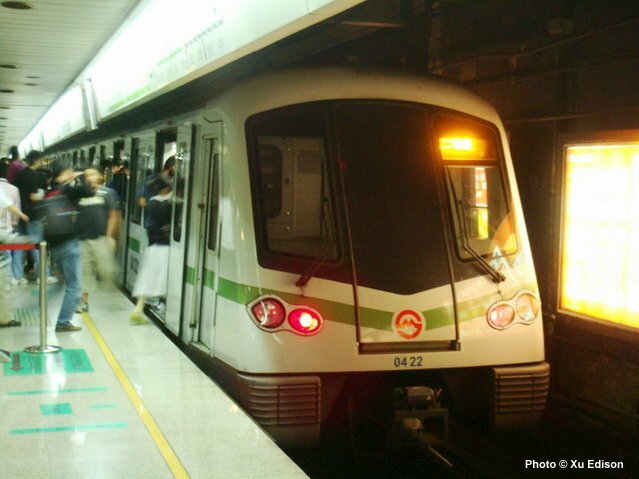 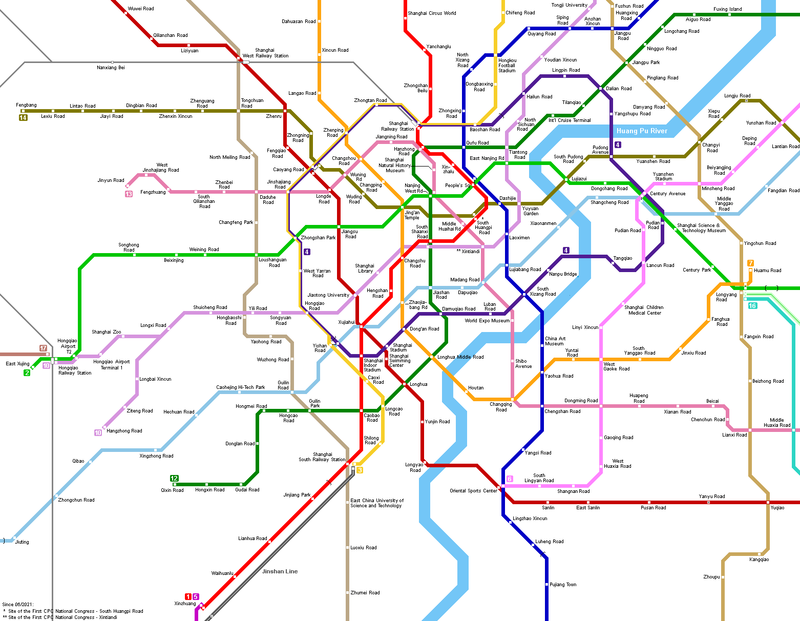 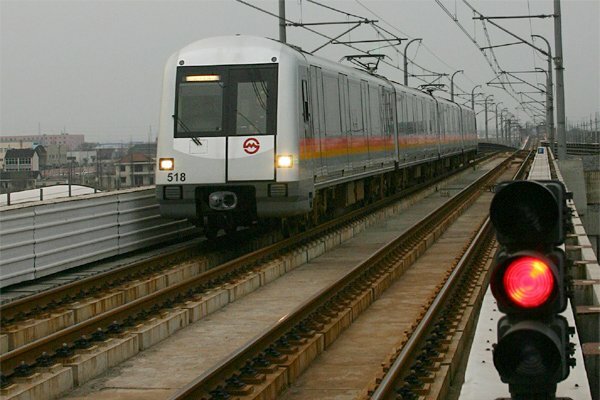 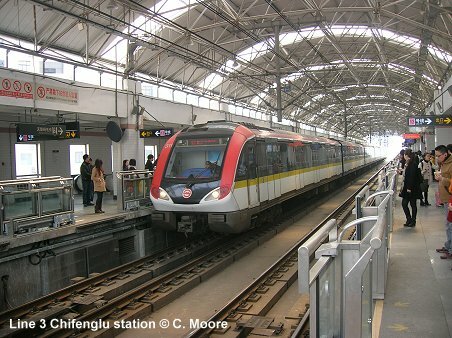 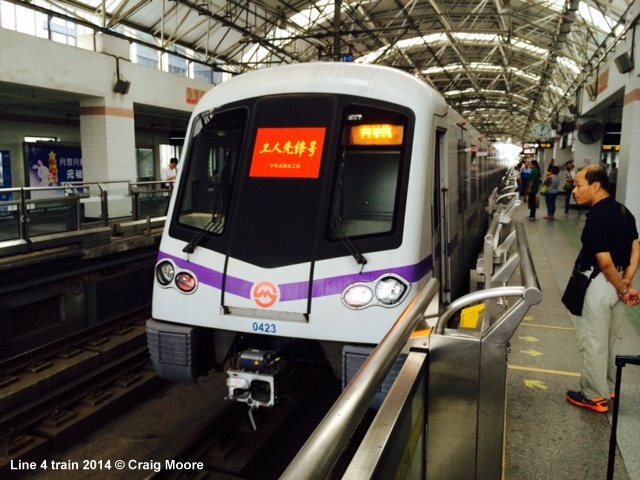 The Shanghai metro is among the most rapidly expanding in the world. 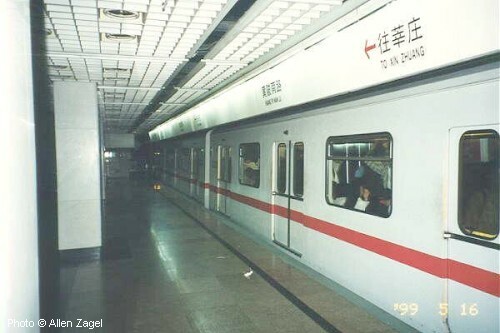 After the first line opened only in 1995 as a north-south axis from the Central Station to the southern suburbs, by the end of 2015, the Shanghai Metro system had reached a total length of 531.5 km (excluding the 29 km Maglev line and the 56.4 km Jinshan Line)! 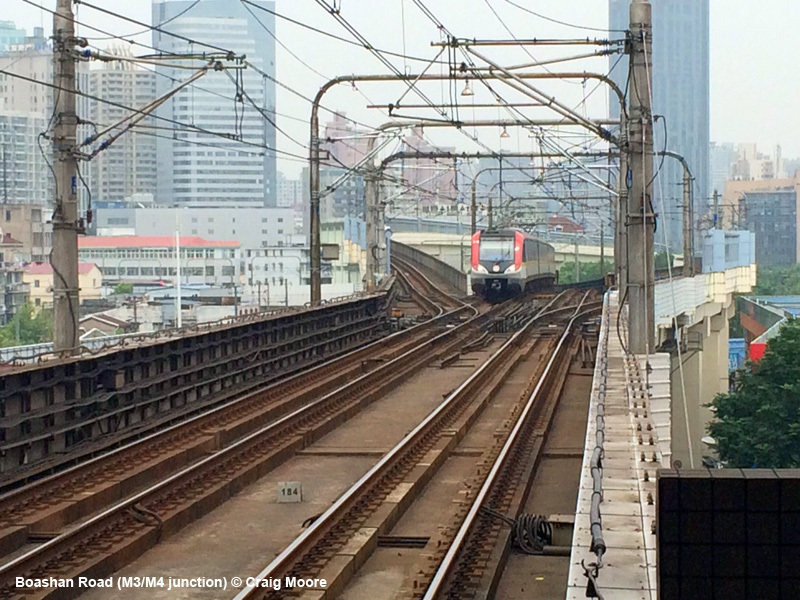 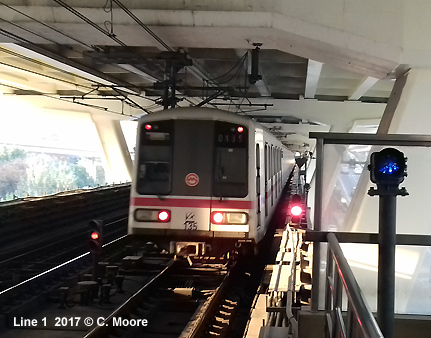 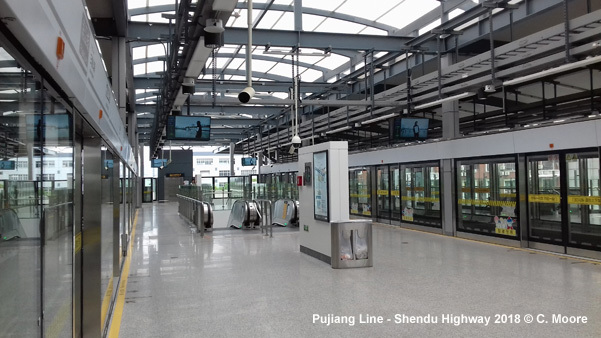 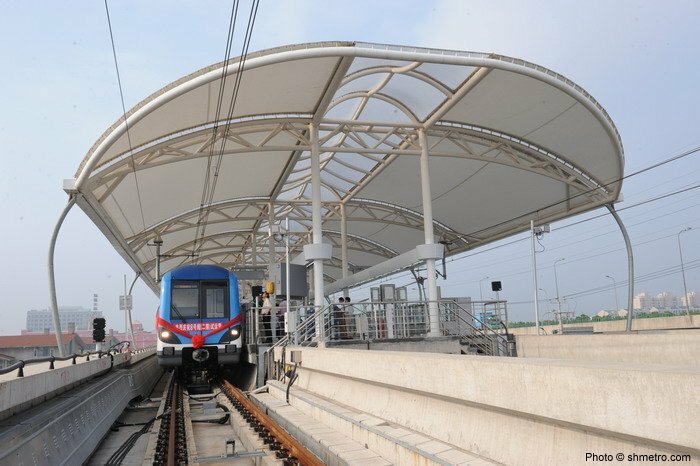 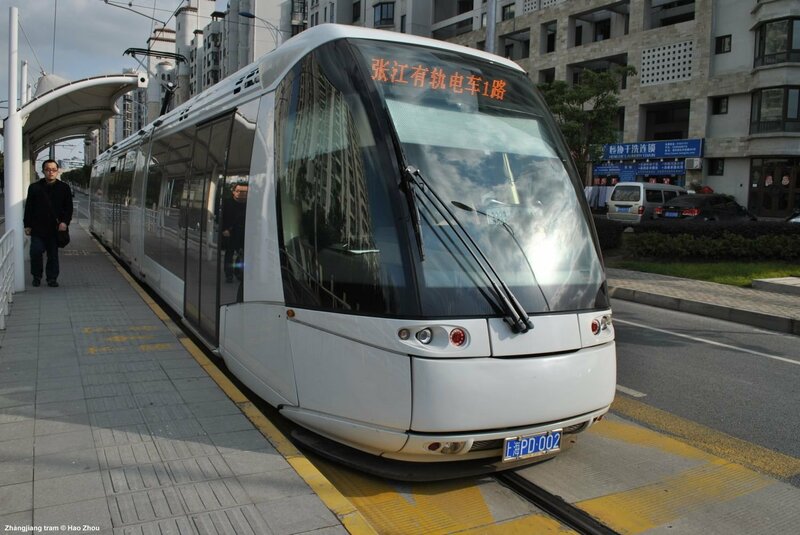 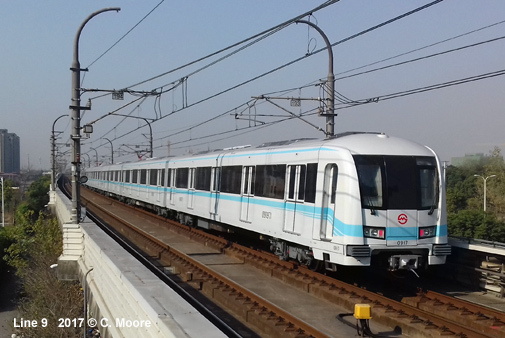 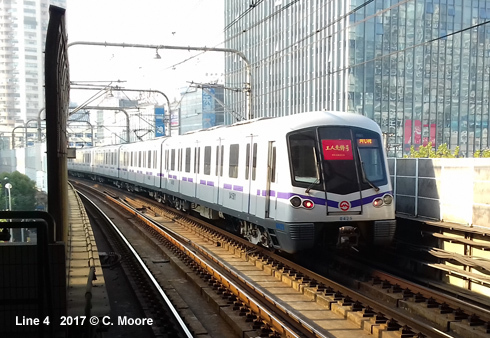 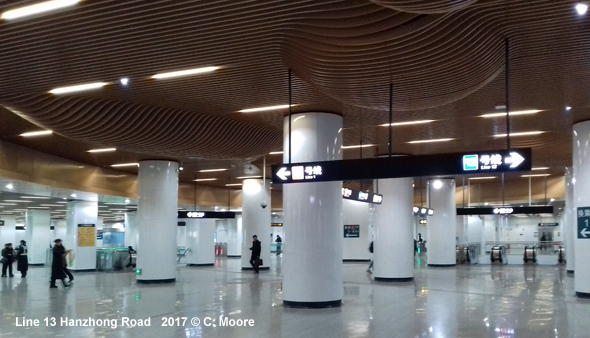 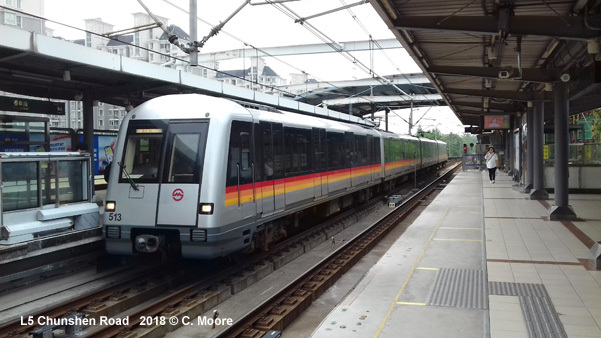 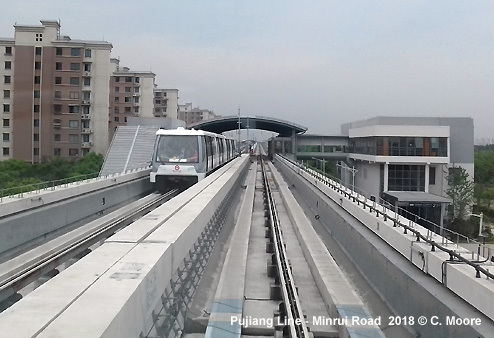 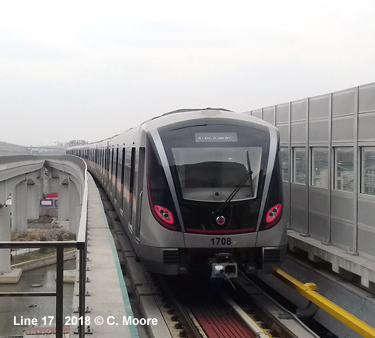 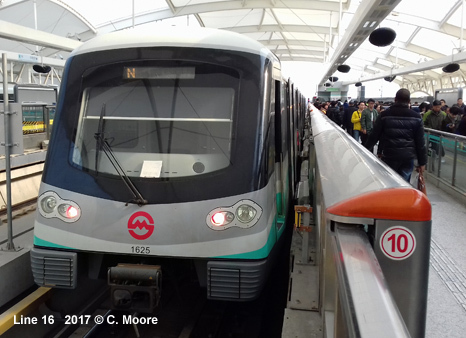 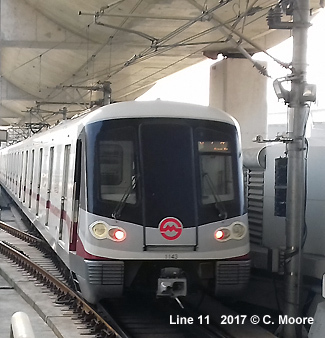 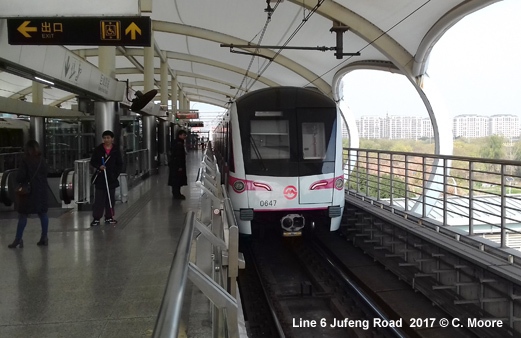 All metro lines are operated by Shanghai Metro Operation Co. Ltd., and they have 1435 mm standard gauge, with 1500 V dc being supplied via an overhead catenary. 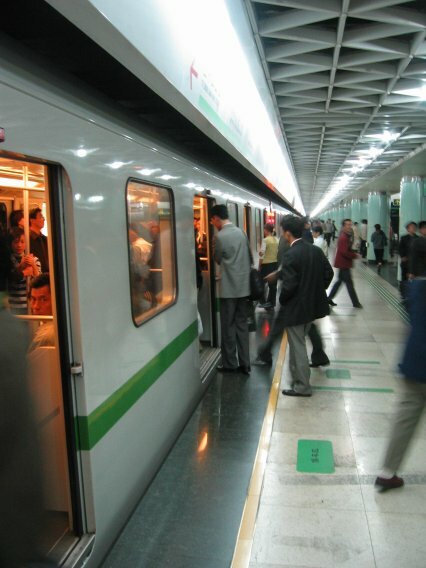 Standard platforms are 150-190 m long. 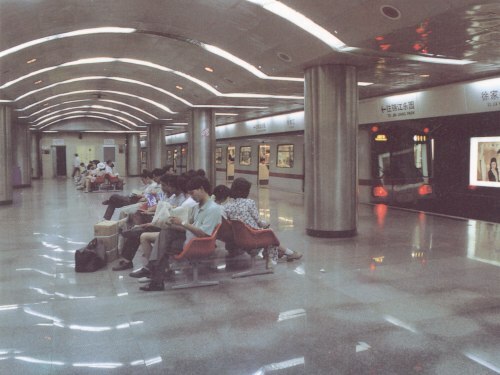 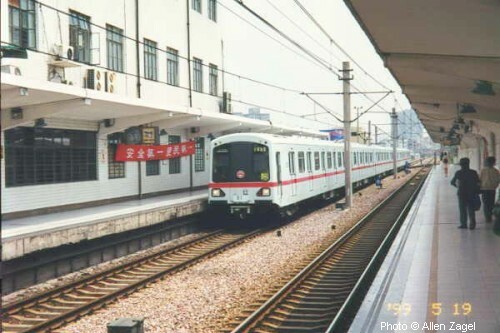 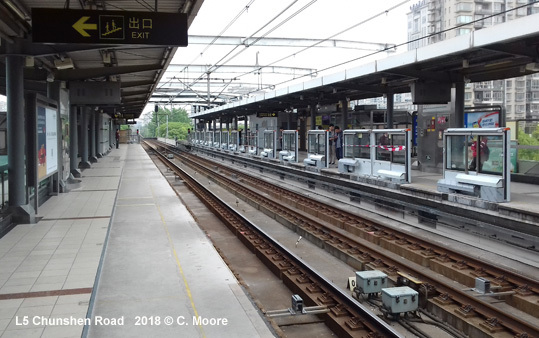 The third line, initially referred to as the 'Pearl Line', was developed out of a former ring railway, mainly elevated, to run from Baoshan Steel Complex in the north via Shanghai Railway Station to Cao Xi Rd. 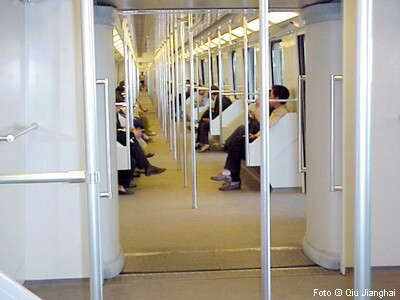 in the south. 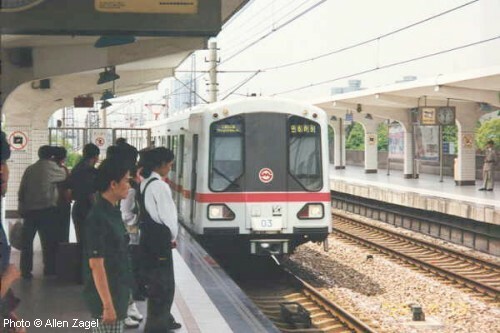 After several months of trial operation, full service started in Aug 2001. 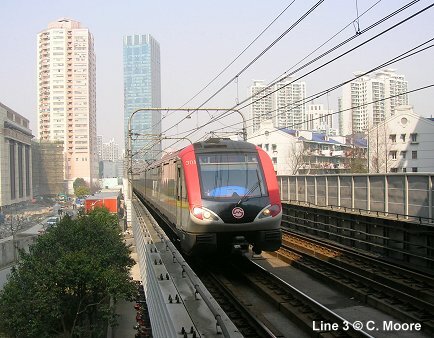 The second phase of the original 'Pearl Line' (Line 4) runs through Pudong along Oriental Road. 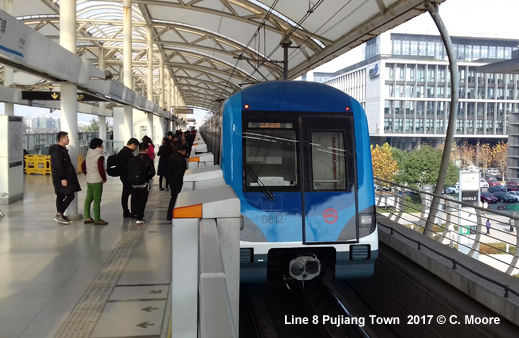 This line forms a circle with the existing Pearl Line, linking Bao Shan Road station and Yi Shan Road station via Pudong on the east bank of the Huangpu River. 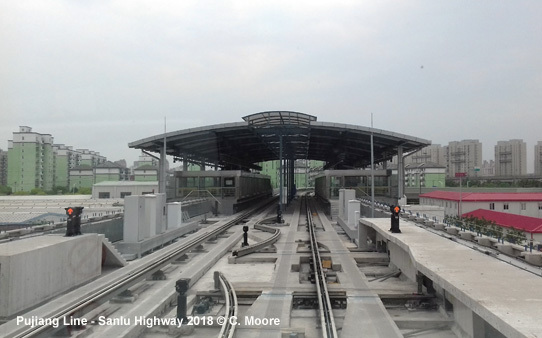 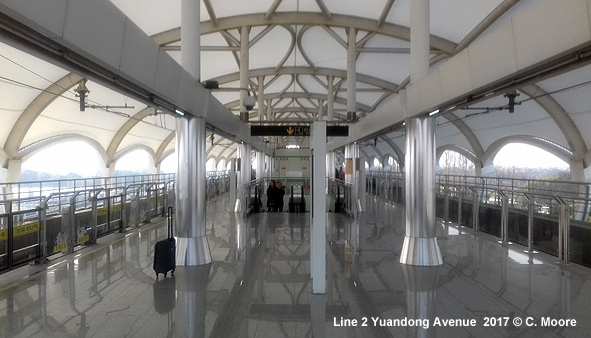 The 22.3 km mainly underground line (1.25 km elevated) was scheduled for completion by the end of 2004 (17 stations), but was delayed due to the collapse of a building suffered on the eastern cross-river section. 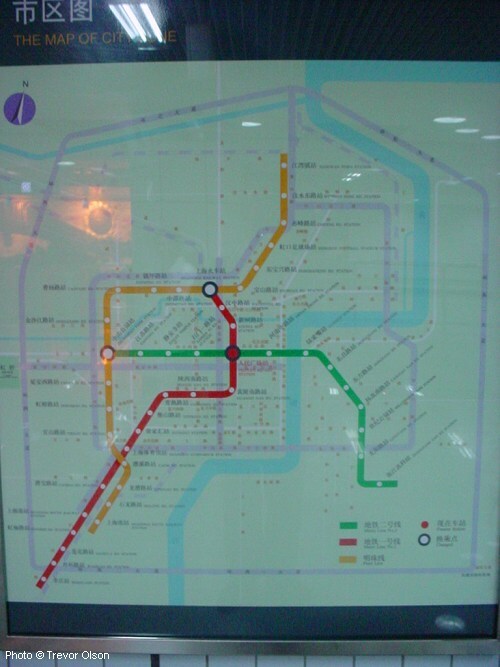 The first stretches opened in Dec. 2005, with the full circle being completed at the end of 2007. 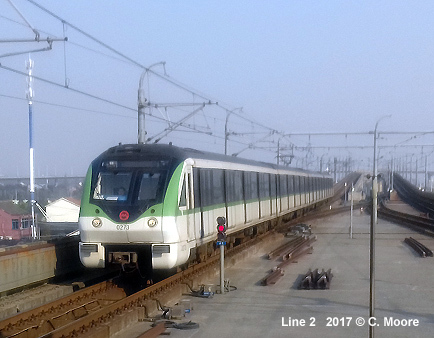 The present Line 5 was initially designed as a southern extension of Line 1 (XinMin Line) to Minhang, but it was eventually opened as a separate line. 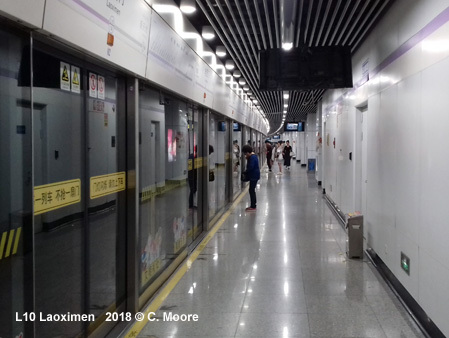 Platforms are only 80 m long. 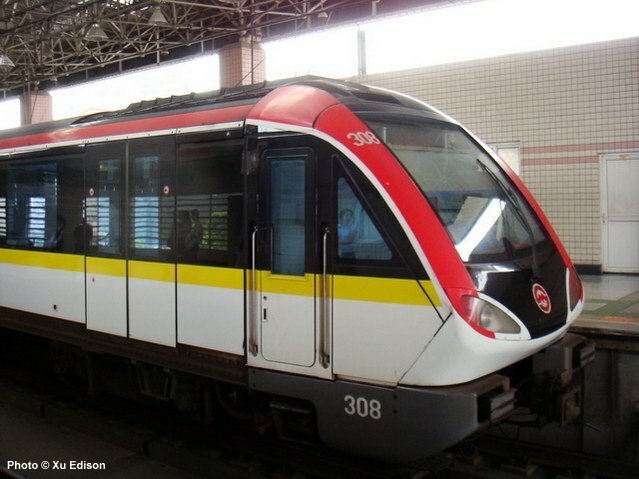 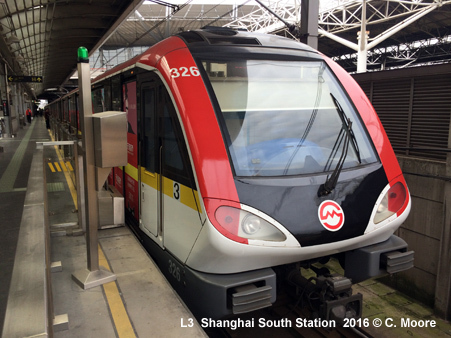 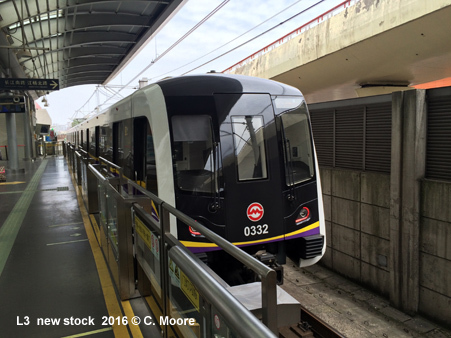 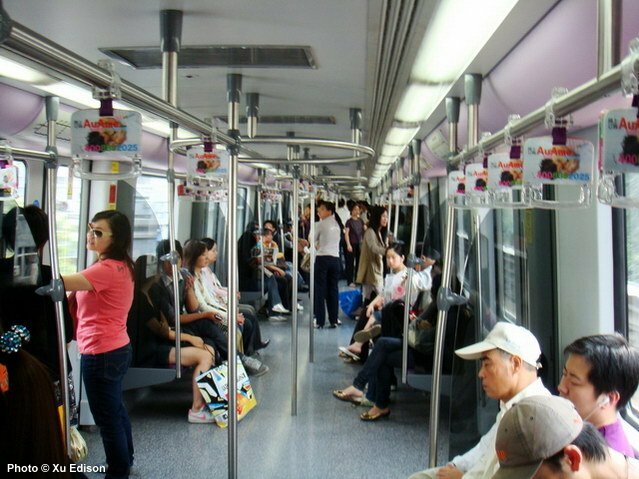 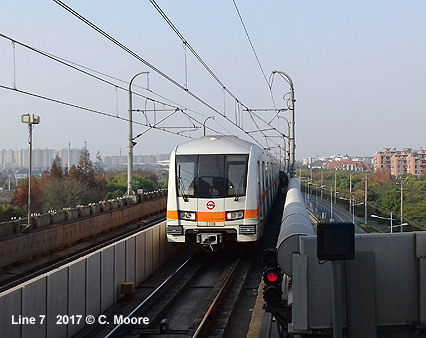 Like Line 5, also referred to as 'Light Railway' with 80 m long platforms, and operated by Shanghai Modern Rail Transit Co. Ltd. (SMRT). 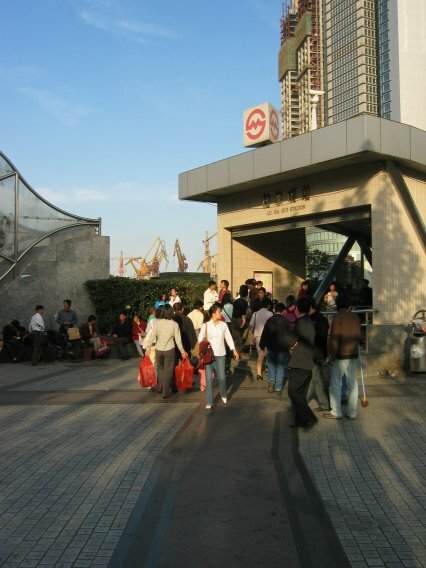 It runs parallel to the Huang Pu River on the Pudong side, from Wai Gao Qiao in the north to San Lin City in the south. 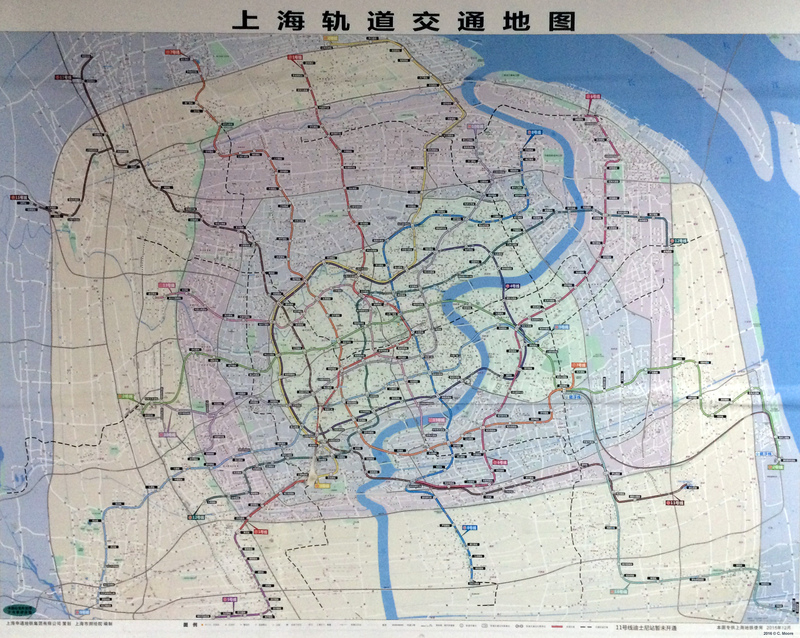 The 'Yangpu Line' runs from New Jiangwan City in the north to Zhongshan South Rd via People's Square. 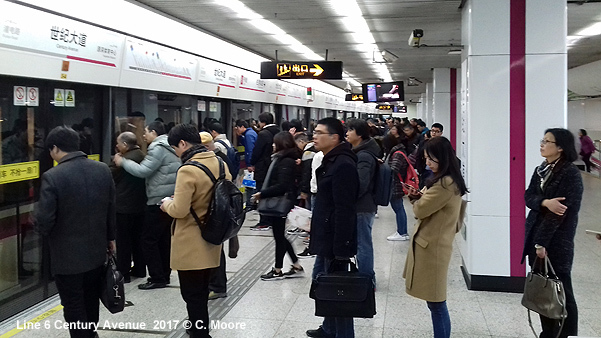 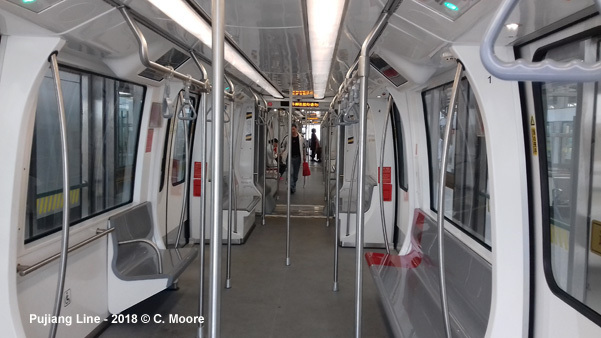 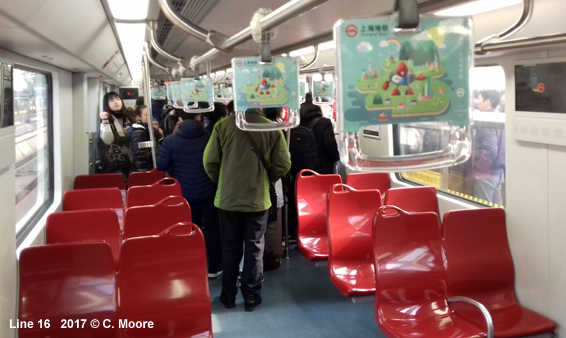 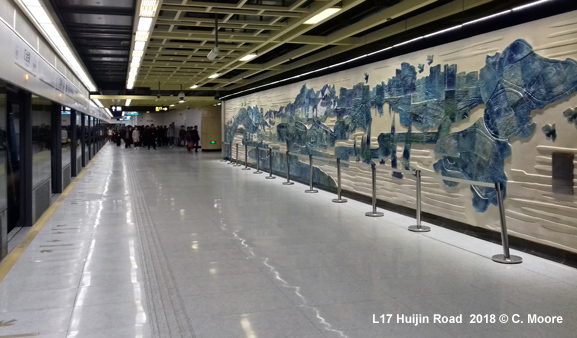 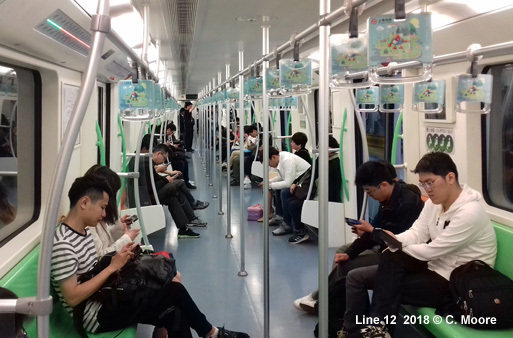 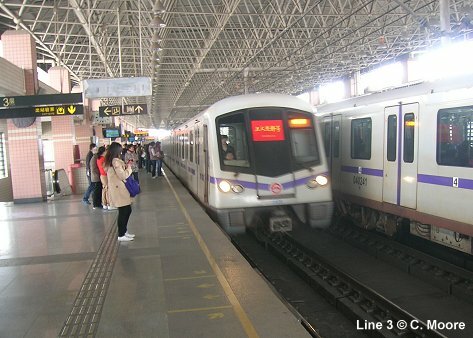 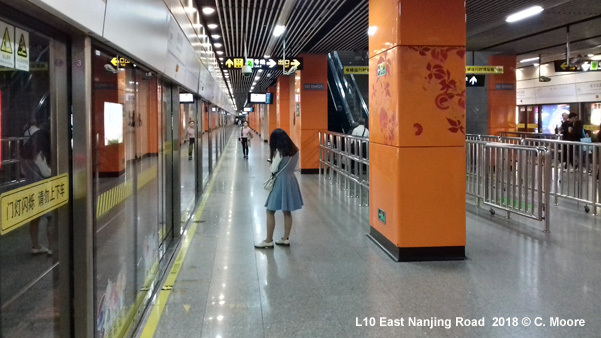 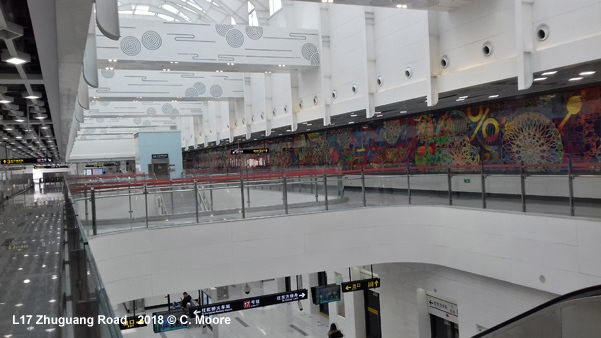 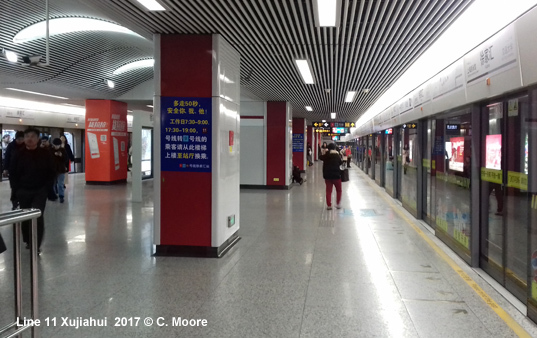 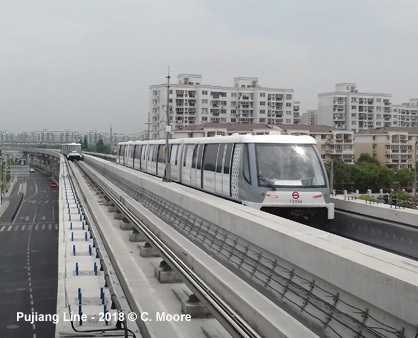 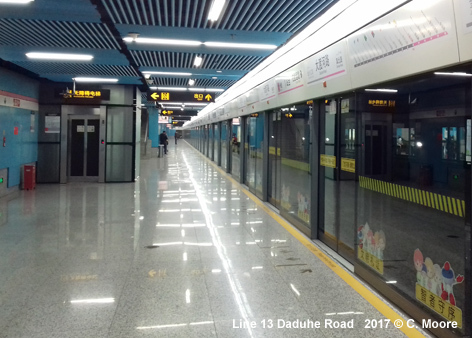 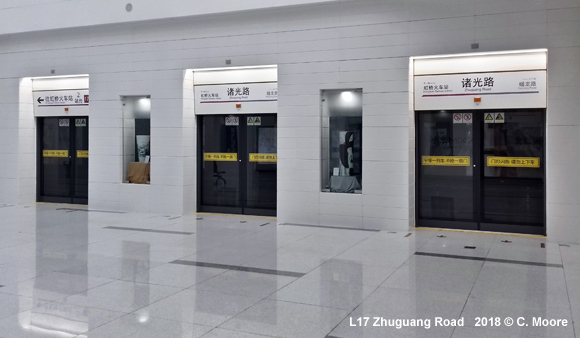 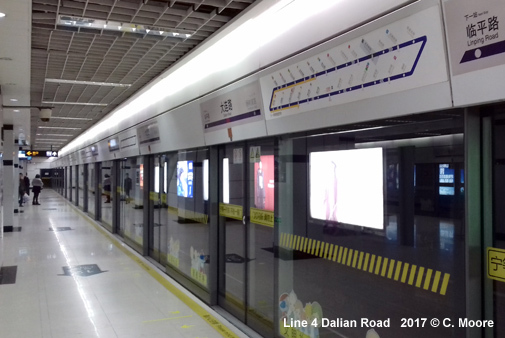 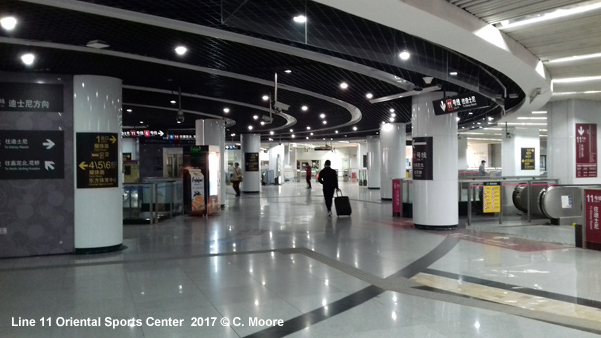 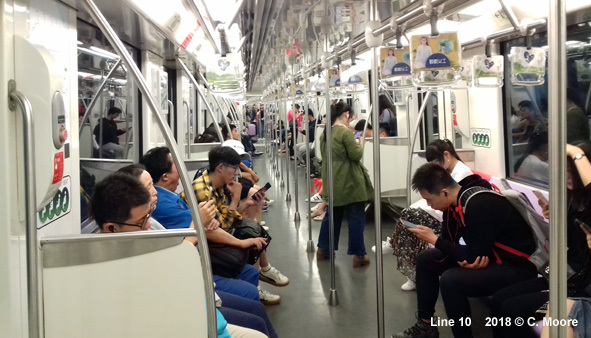 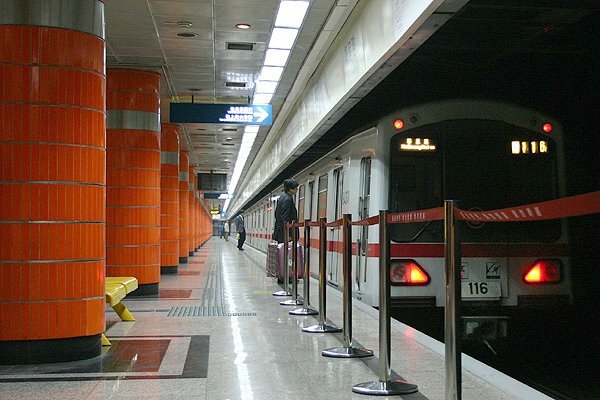 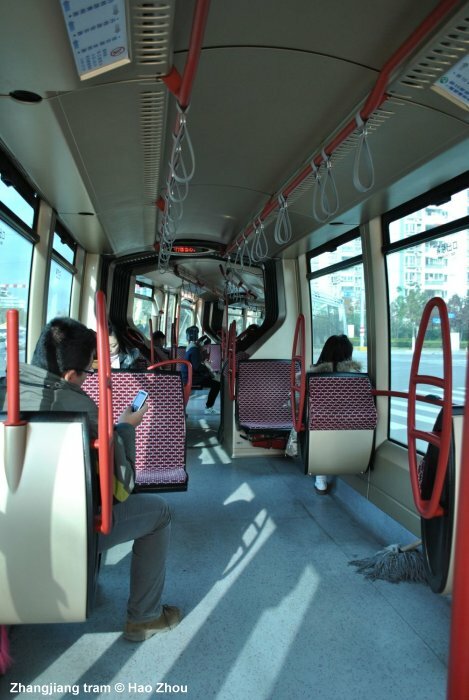 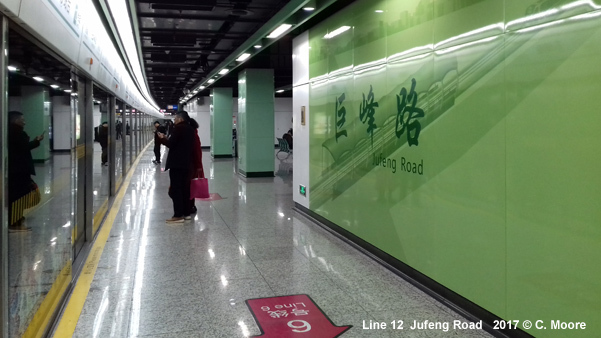 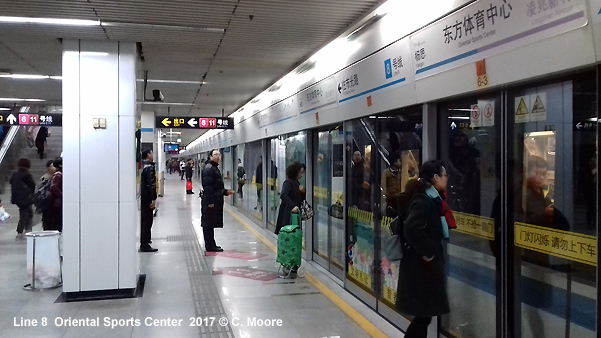 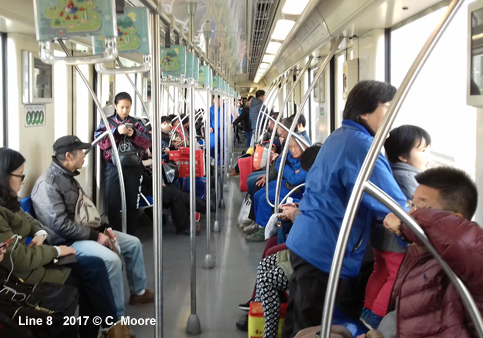 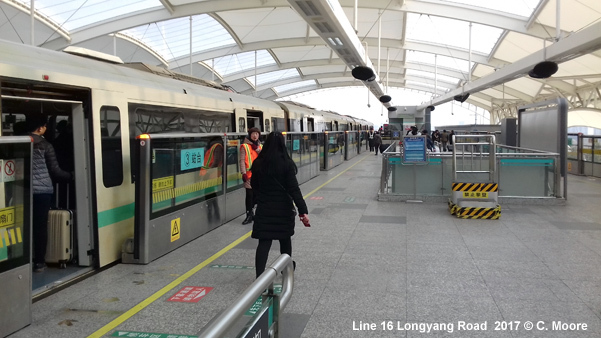 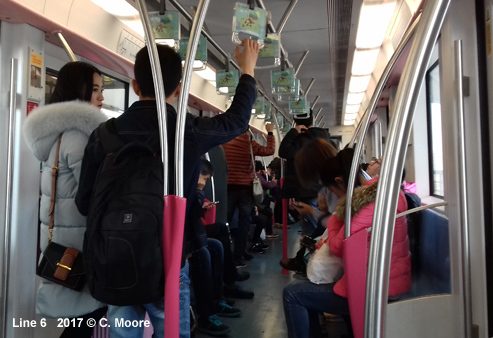 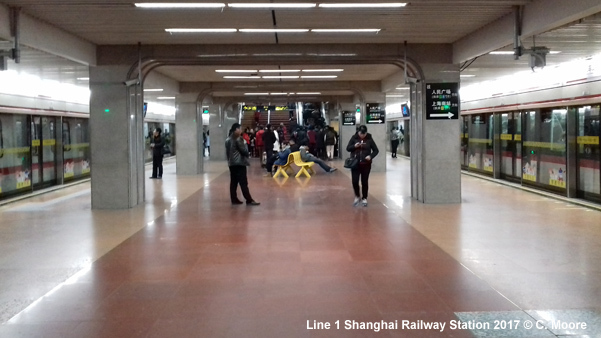 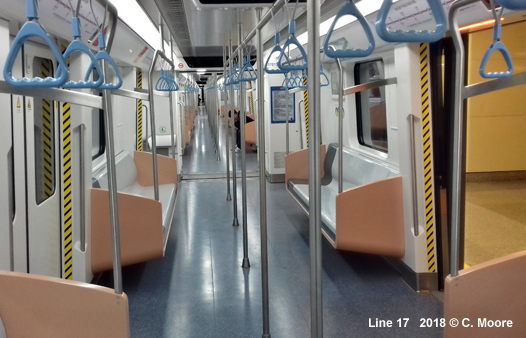 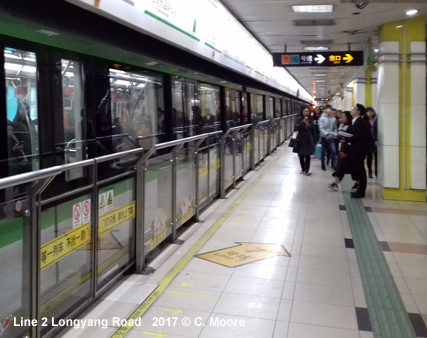 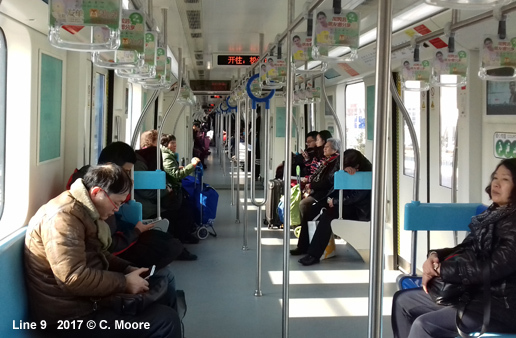 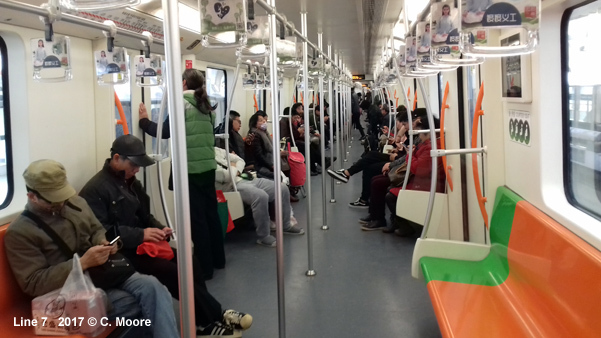 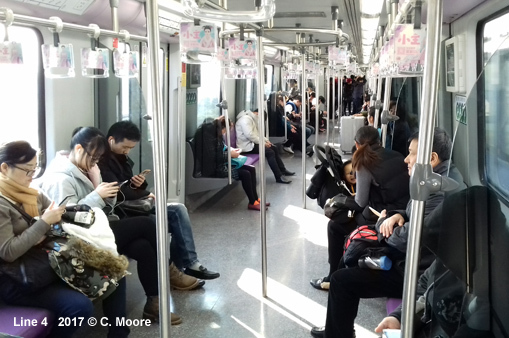 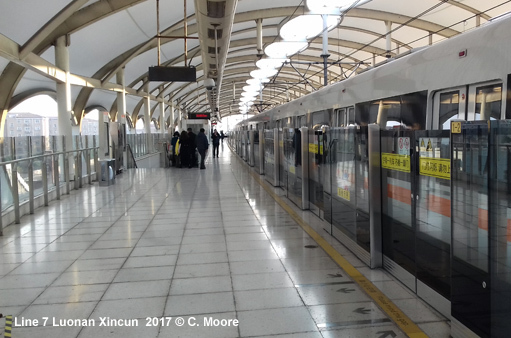 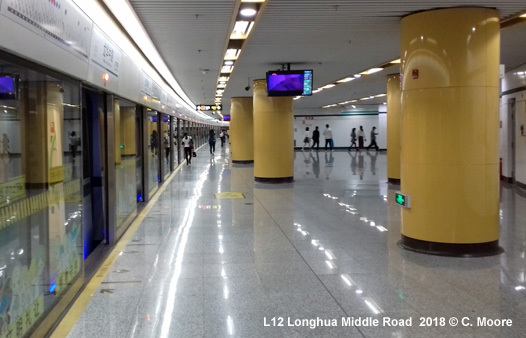 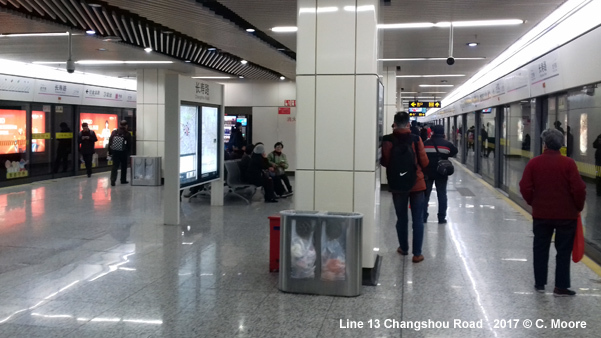 Metro Line 9 (Shensong Line) was conceived as a regional express line (R4), to run from Xu Jia Hui on Line 1 towards the southwest to Song Jiang New City, but it has eventually been developed as a full metro line across the city centre. 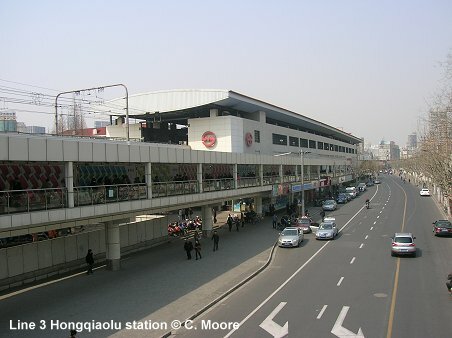 When it opened in Dec 2007, it was not yet connected to any other metro line. 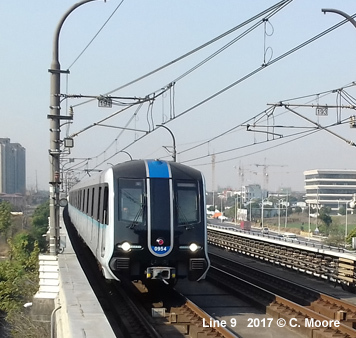 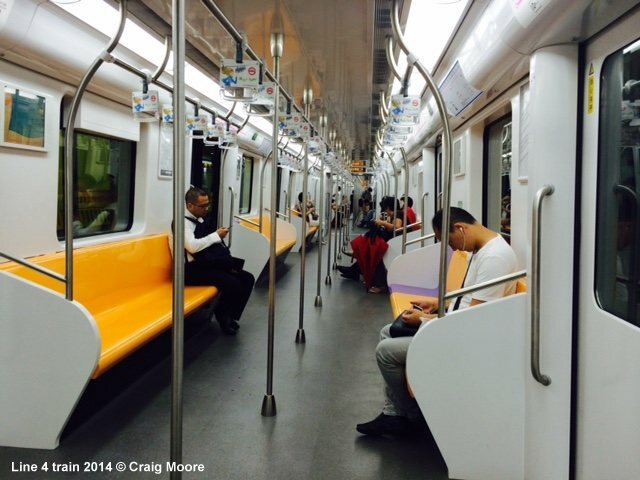 *Operated as the 4 km 'Expo Line' shuttle, between Madang Road (interchange with Line 9) and the Expo. 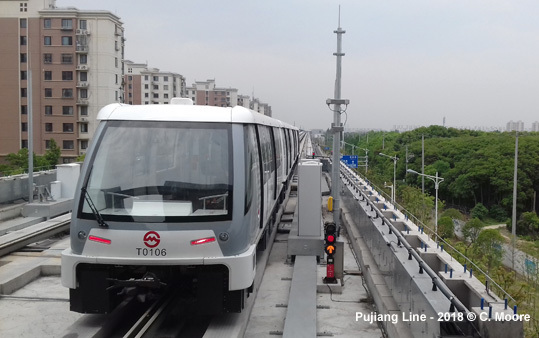 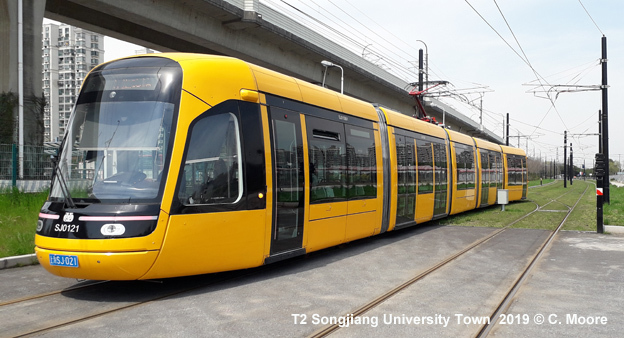 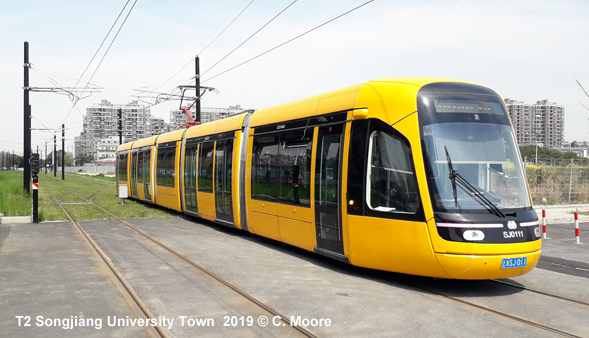 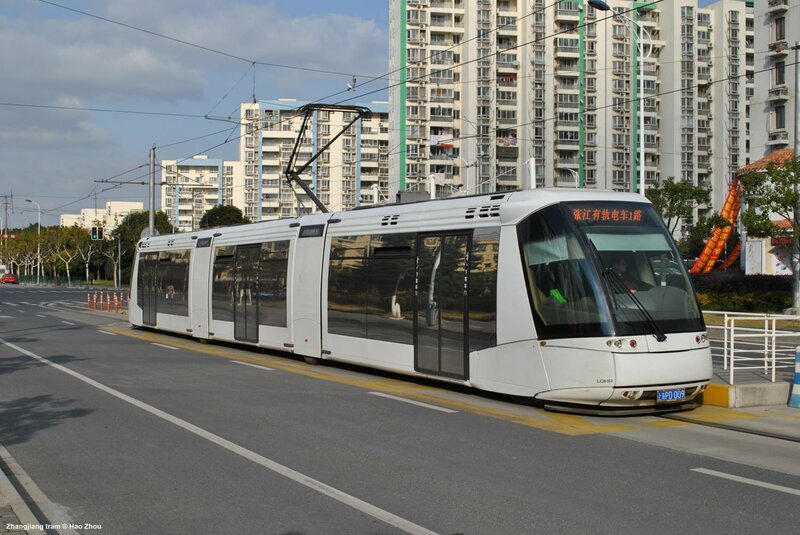 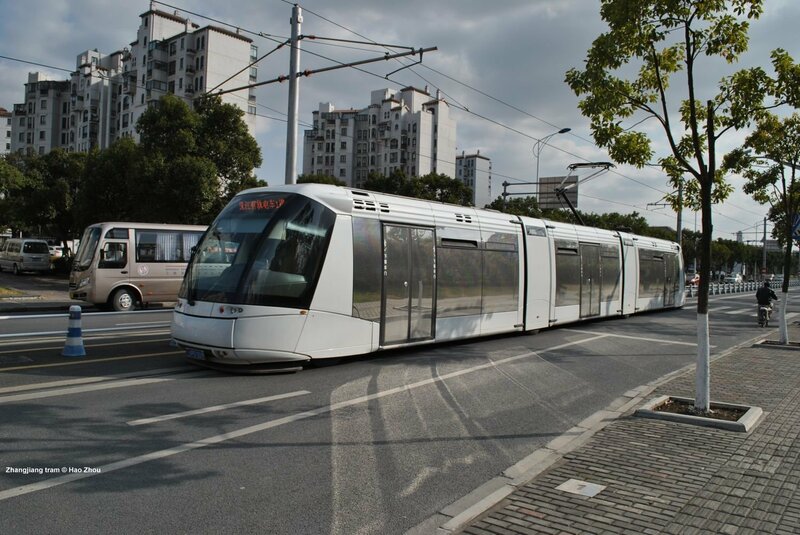 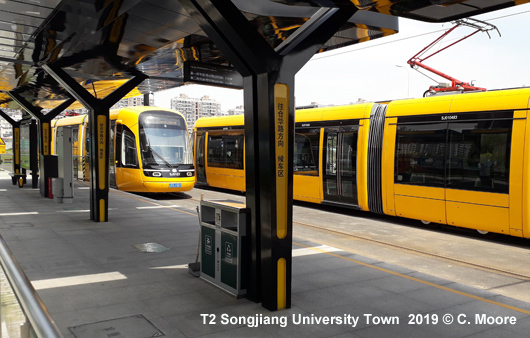 Conventional tram system under construction in the southwestern suburb of Songjiang, linked to central Shanghai by metro line 9; line T2 will become a circular line once the initial stage is completed.